The Grand Canal Wheelers cycling club in Daingean has launched the much-anticipated 2019 Peatlands Tour. The launch, held in the Sportsman Inn on March 11, had a great turnout and the committee members were delighted to receive their first sponsorship for the event from Matt Corcoran from Midlands Veterinary. Bord na Mona and Edenderry Municipal District Community fund are also supporting the event in 2019. Over the past four years, the Peatlands Tour has raised over €12,000 for local charities and attracts cyclists from around the country. 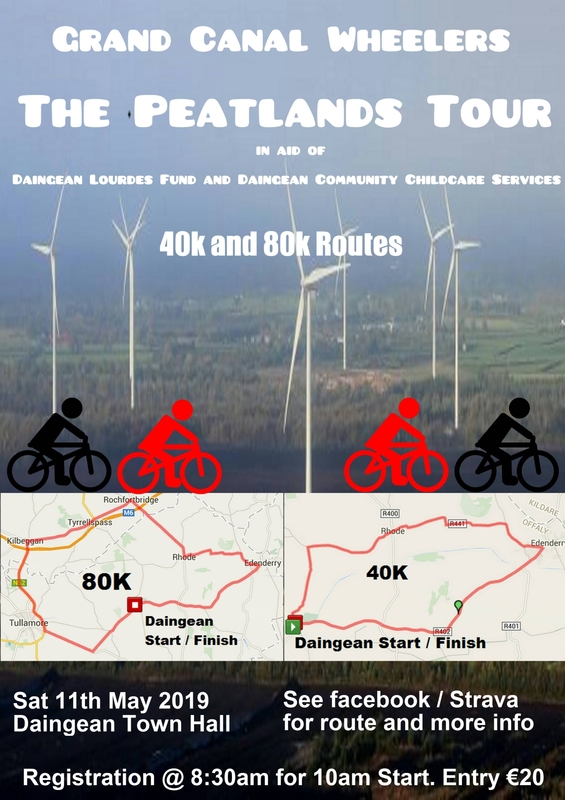 This year's Peatlands Tour is taking place on Saturday, May 11 and is in aid of the Daingean Lourdes Fund and Daingean Community Childcare Services. Entry is €20 and there are two routes available, either a 40km or 80km; all are welcome to participate. Visit the Grand Canal Wheelers Facebook page for more information.